Forecast SEO performance with confidence. Building the business case for SEO has never been easier. Opportunity Forecasting automates the process to calculate the total addressable market and your potential gains in revenue or site traffic with the push of a button. Create campaign targets for your content projects and prioritize efforts based on predicted ROI. 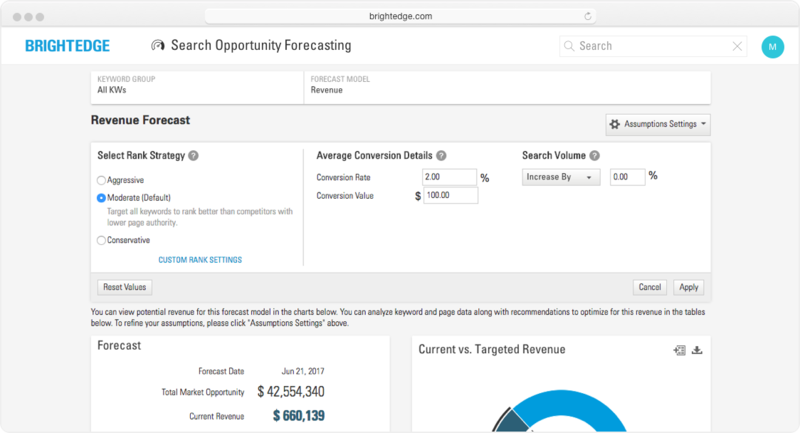 View opportunity forecasts in several modes for each keyword group: revenue, conversions, website traffic, and more. Make a stronger business case to different stakeholders using the forecasting data. Maximize the reliability and relevance of your forecasts by viewing projections in aggressive, medium, or conservative scenarios. Customization variables include revenue estimates for conversions, conversion rate, search volume increase, or ranking improvement for selected keywords. 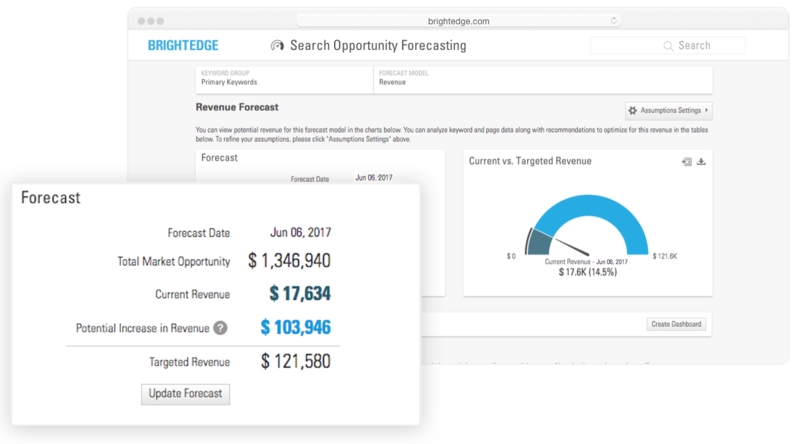 Ready to learn more about Opportunity Forecasting and other BrightEdge features? Clarify your course of action with just a few clicks. Click Recommendations for any keyword to view top SEO optimization ideas. 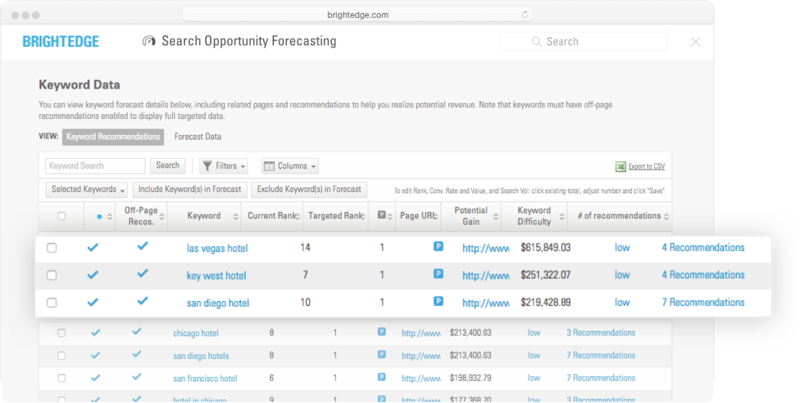 Or, click on any keyword from within Opportunity Forecasting to see keyword-level performance reporting and Recommendations.